Can You "Plug & Play" with Led Tubes? Tube LED or not Tube LED...That is the question. Whether ‘tis nobler in the mind to change a ballast or….I’ll stop there. When staring at a fluorescent fixture you will typically be staring at either T8 or T12 tubes. T12 fluorescent tube - Big dude. Diameter of a delicious sausage. Invented around 1930s (Yup. That’s how advanced they are.) Needs to run off of a magnetic ballast. T8 fluorescent tube - Much skinnier than it’s cousin. More like a hot dog if we’re going to stick with the cylindrical food analogies. Popular in the US starting in the early 1980s. Runs off an electronic ballast. 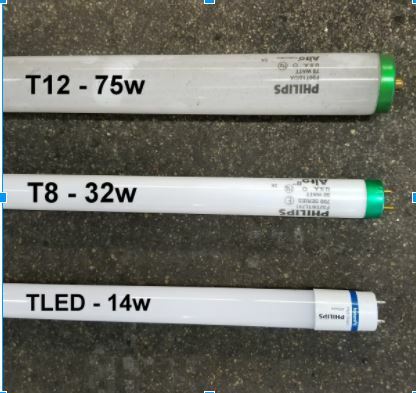 Stick Measuring Contest: TLEDs are leaner and meaner when it comes to energy efficiency and brightness. The difference in ballast, among some other logistical differences, is a key actor in whether or not you just “plug and play” with an LED retrofit or if you have to completely change everything when retrofitting. 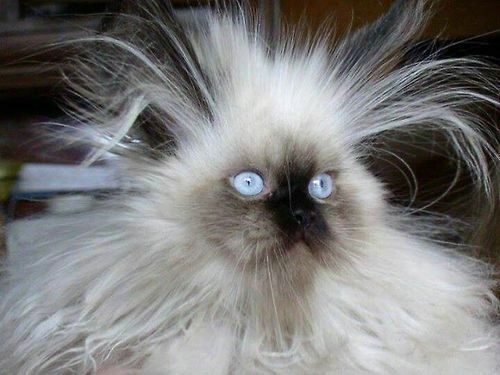 PSA: Mixing cats with electricity is not condoned by Verde Energy Efficiency Experts or their employees. Some people try to just stick a T8 next to a T12 and let me tell you….your T8 is not going to be happy about that. Anytime you need to retrofit a T12 fixture you are always going to take that magnetic ballast out of there. On the other hand, if you have yourself a T8 situation, that means there’s an electronic ballast in there. The least labor-intensive option for you then is to get an LED tube light that can run off of an electronic ballast. In the biz these are called TYPE A. Type A’s are easy - look at the ends of the tubes in the picture. You can see how it could easily fit where a T8 once lived. Similar looking ends, similar tube diameter. Type A tubes can live a happy life running off an electronic ballast. Their cousin is the TYPE C tube. The Type C can only be happy if it’s got an LED driver in place of a ballast. Once you remove a magnetic ballast then you can put an LED driver in its place and get yourself some good ol’ Type C LED tubes. If you're lighting up your business with T12 or T8 fluorescents, you might be qualified for a utility rebate or incentive! It all starts with a FREE assessment. Or, if you live and work in Chicago and care about energy efficiency and sustainability, join Environmental Chicago and be a part of the movement. Previous What Is an ECM Type Motor? Next What Is the Cost of a Smart Thermostat?